Obituary – Cress, Col. Erle Fletcher « Perry High School Alumni Association, Inc.
Col Erle F. Cress, formerly of Perry, died in Walter Reed hospital in Washington, D.C. Monday morning, following a long illness. He was the son of the late P. W. Cress, prominent local attorney, and a brother of Paul W. Cress of the local law firm of Cress and Rosser. He was a half-brother of Mrs. Bill Parker and a step-son of Mrs. P. W. Cress, both of Perry. 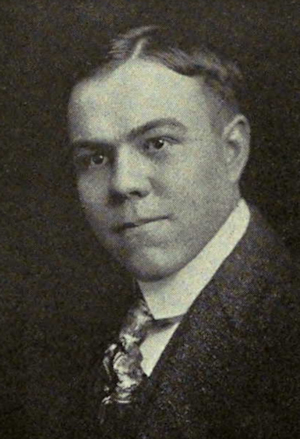 Cress was born in Herrington, Kansas, Sept. 6, 1895, and was brought to Perry a few months later where his father already had entered the practice of law. He attended school in Perry and was graduated from Perry high as valedictorian of his class in 1912. He was graduated from the University of Kansas with a bachelor of arts degree when he was 18 years of age and also received his master of arts degree there. He received his bachelor of law degree from Harvard school. He was married to the former Edna Wilbert of Grandhaven, Mich., who survives. 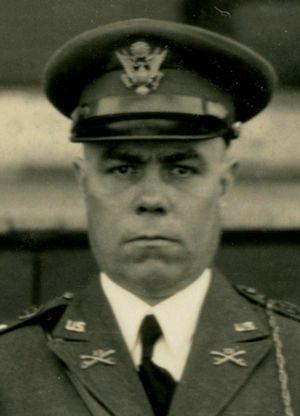 He was one of the first volunteers from Noble county in World War I and except for a time when he finished law school was a regular Army officer until given a medical retirement in 1953. He became ill while stationed in Naples, Italy. Cress had attended the general staff school and the War college and was an instructor in each school. He was secretary of the joint Army and Navy staff during World War II in charge of the strategical command. For this service he was awarded the Legion of Merit. He was buried at the Arlington National Cemetery, Arlington, Virginia.